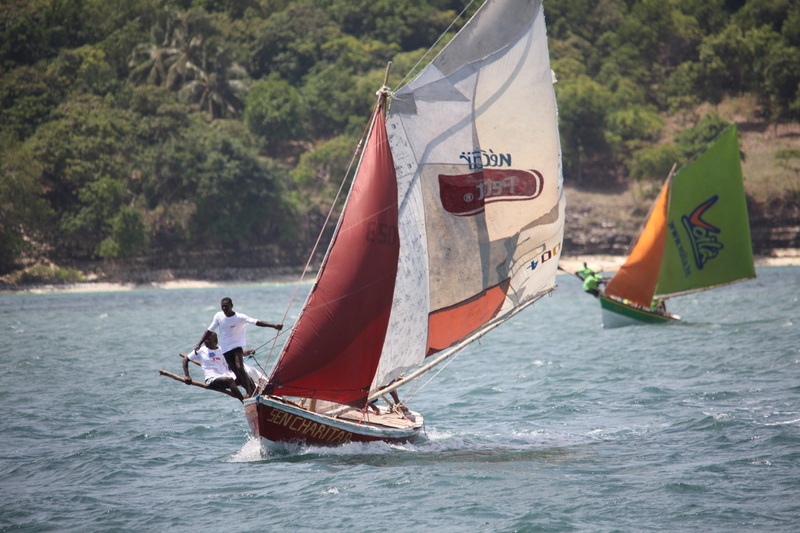 The used sails we bring down from North America are like gold in Haiti. 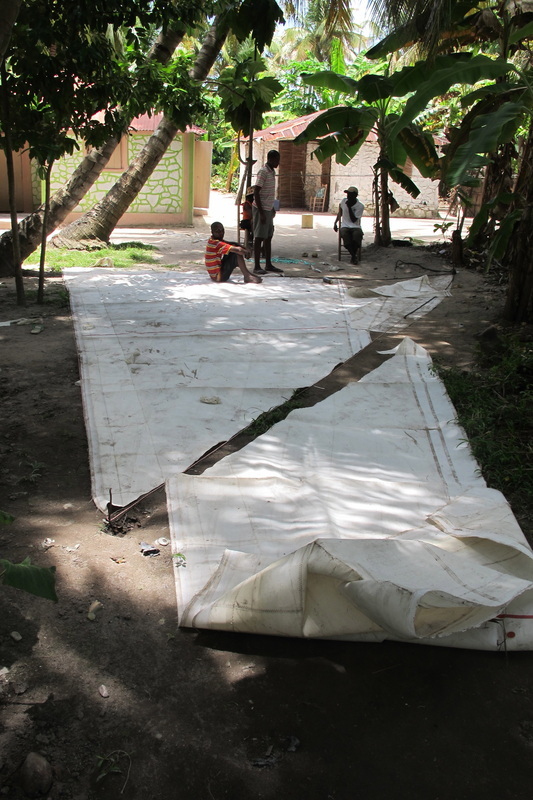 They normally have to use cotton or plastic sheeting which does not stand up in the sun or salt. 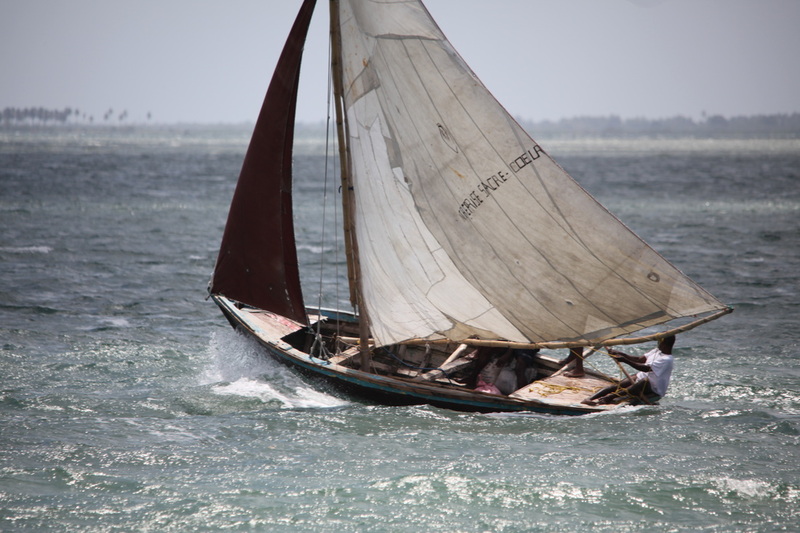 A Dacron sail will last many years instead of weeks. They will take our used sails and cut out the bad parts and sew up new sails. We have also brought down dozens of sewing machines so these too are getting well used. They dig these canoes out of Mango Trees. One solid piece of wood curving the way the trunk of the tree did. I brought one home to our cottage in Canada. We have contests to see who can stand up the longest in it. Generally the time standing is measured in seconds. There is a small local boat yard on the beach. They build boats for the fishermen. Typically a hull, a few years ago, would cost around 300 US. 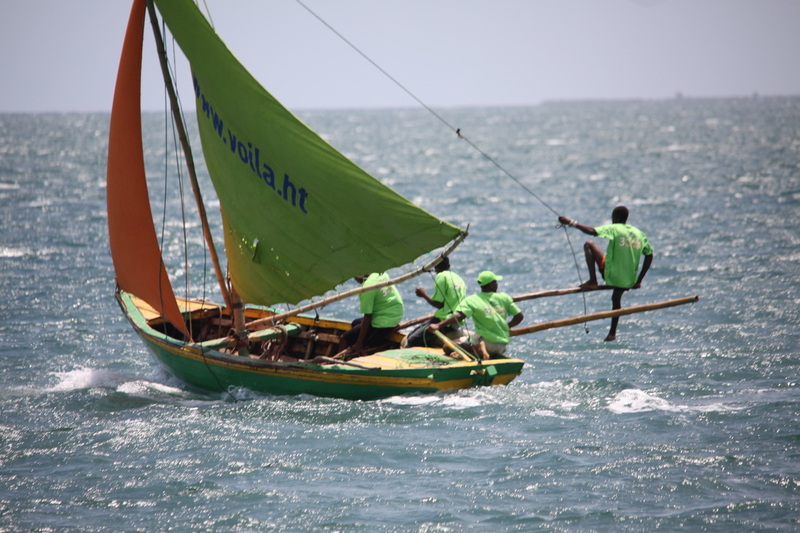 The sail for the vessel was the big problem. It would normally cost more than the boat. They go many miles into the open ocean with these. They use old clothing tarred and push by a chisel into the joints. 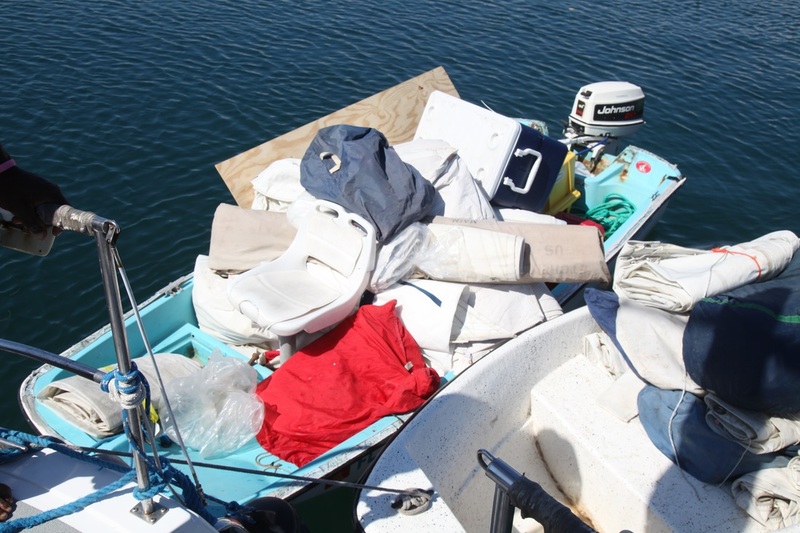 This can fall out and the boat is instantly taking on water. Many fishermen have been lost at sea. As the fish stocks die off the fishermen are having to go out further and further. 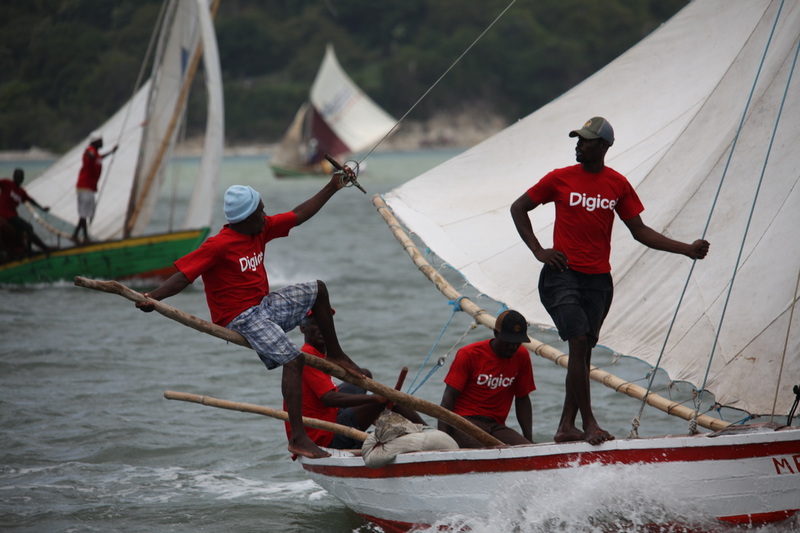 Haitians are great sailors. 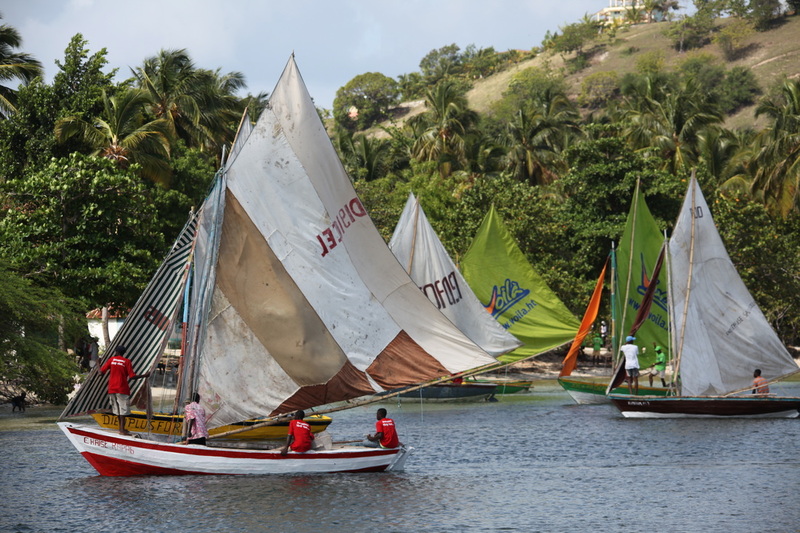 For many generations using simple vessels they go way out into the Caribbean to catch their fish. 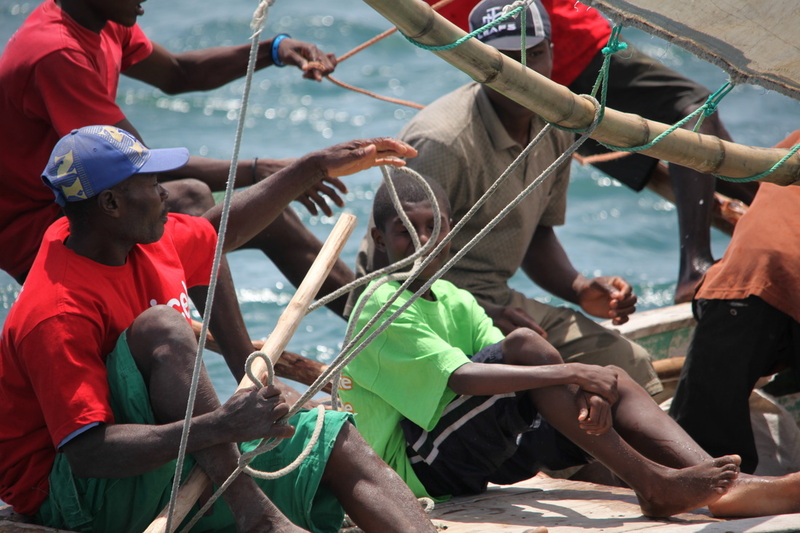 They withstand the intense sun, salt and some heavy weather sailing. 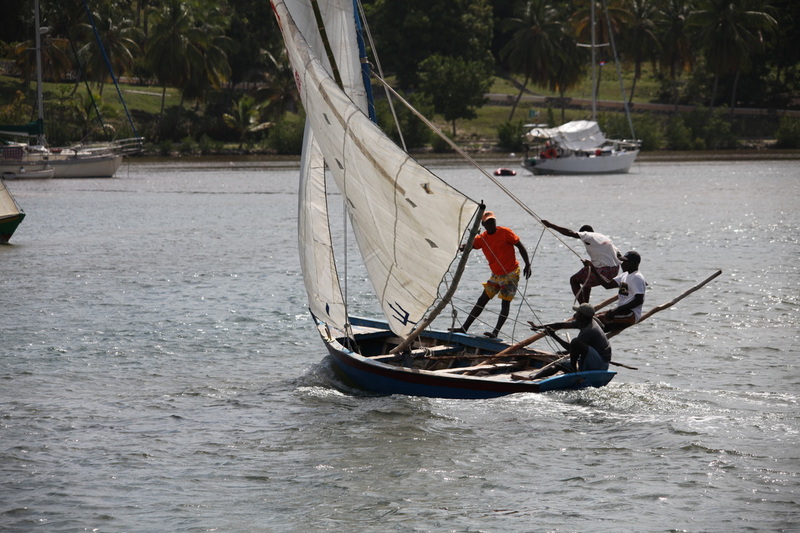 With the used sails we deliver they are able to fish in a safer vessel. Dacron is saving lives.